*Alias(es): Akuma Heddohantā (Demon Headhunter), or simply Heddohantā (Headhunter). Distinguishing Marks: He wears a blindfold and a huge dog collar with a broken leash attached to it. Distinguishing Marks: He has a crescent moon on his forehead, two jagged, magenta, stripes on each cheek, and a magenta stripe on each eyelid. However, in the last few centuries, Kyoki has mellowed out greatly. He's not a very patient man still, but he has shown signs of kindness and compassion- something he had never shown until meeting Rei. Dog Physiology- The user takes on or has the form, traits and abilities of dogs. Dog Physiology Bestowal- The user can give the ability to take on the form, traits and abilities of dogs to others. Depending on how much control and experience the user has, the effect can either be permanent or temporary. The powers granted are based on the subject's DNA structure, so the user can't choose powers to give. Low-level Users can only grant powers that last for a limited time. The powers the user gives may come with psychological or physical detriments. May be able to bestow only certain types of powers. History: The eldest brother of three, Kyoki is the son of the Inu clan's leader. He was beaten and abused from an early age. He was not only beaten physically, but he was tortured mentally and emotionally. Forced to remain in his true form since he developed the ability to shift into it, a massive collar was placed around Kyoki's neck and he was tied outside with an extremely heavy steel chain that had kept him tethered for years. That is to say Pax and Maka were not sane but they were hardly the most insane of the clan. Perhaps it was due to massive amounts of inbreeding, perhaps it was due to bad blood no one can say for sure because no one knows. 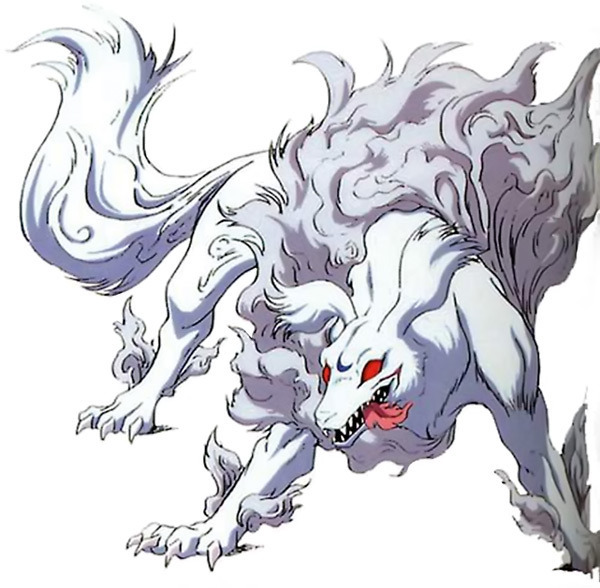 The Inu clan was one of the last Vampiric dog clans out there, but Pax was not a nice dog, mad, foaming at the mouth if a Vampire dog could get rabies he had it and he had it bad. His first pup Kyoki was the one who feel the sting of his fathers cruelity unlike any other. At first Kyoki was born like any vampire child into a 'human' form. But he was born different and Pax didn't like things that were different, that he considered weak. If they were weak...they were beaten until that weakness was removed and became a strength. That being said, when he noticed that during the day Kyoki was practically blind he was not happy, and after his son learned how to shift to a dog form instead of showing him how good he was for it he wrapped a heavy collar around his boys neck a thick enchanted steel chain to a heavy secured eye hook to the ground outside to keep him trapped in dog Form. Form there? Pax refused to feed him beating him and kicking him hitting him with everything he could think of from sticks to rocks to claws anything to get him barking and growling fighting against what he could not see. And when it came to feeding? He could not be more cruel he'd present something with blood that Kyoki needed and drop it just out of the pup's reach and when the pup tried to get it and failed he'd beat him over and over again....Salvation was not found in the arms of his mother...she was no warmer or nicer. She threw buckets of filthy ice water on him to rinse off the dirty dried blood matted into his fur. She'd kick the nearly rotted meat and bloodied substance to him and laugh when he'd tried to eat it and get sick whimpering. It went on like this and it was no wonder...during all of this abuse and so much more...that Kyoki's mind....snapped. Pax would send him out and bring him back on the chain in dog form laughing as his son seemed to be gone and then one night a new scent on the wind inside of the house....the house that something inside of Kyoki still told him was home and that was mom and dad. A new born pup's wails and cries and his ears had turned towards the sound. But the pup's cries for being feed were not being met and Maka and Pax came out into the back arguing about the pup Pax swore she cheated because he was different then any other Inu in the clan and she swore she hadn't. It wasn't her fault he was born different. Pax thought to let him starve and said it but Kyoki went balastic on that chain lunging fangs bared as he reared towards them and Pax paused as a different idea came to him. He laughed so Kyoki wanted the pup...he wanted that pup for his own did he? Then he'd give him the pup....he'd bring the pup up as he wanted to and went back in calling for Maka to feed the runt and shut him the hell up...she went in cursing and throwing rocks pelting them into Kyoki but he had won...he got what he wanted...the pup was being fed, that pup would not starve. Kyoki didn't see the boy again but he dead hear him scream at times hear him cry out from with in that house but Kyoki himself never howled in pain anymore never barked or growled he was angry, he wanted there blood that boy...he warned them he wanted that boy...that night be broke the confines of his chain having long since outgrown them ran into the night. He didn't have the strength right now to free the boy and moved off to find means of getting that strength that took a bit longer then he liked and when Kyoki returned it was to find a mutilated dog tied down as Pax was yelling at him for being bad and disobeying him for something whipping him and beating him....but that dog....his maw was melted together the fur in places missing and twisted muscle and sinew could be seen all over the dogs body. It was late evening and as Pax moved to beat him Kyoki did him one in kind...he ended him and then the woman who dared call herself mom. He freed the boy and moved about killing many others and then paused looking at the young dog at Jigoku who was weak and limping behind him told to follow and then he told him to come...to feed to 'eat' everything....if he wanted to fix the broken bones Pax gave him this night then eat....and he did...after a moments hesitation he did as he was told. Years passed after that day and he spent that time bringing him up. That boy Jigoku was now his, he had one prime rule with him do not lie to him. The other respect him and obey him. Jigoku was a good kid doing as he was told and he let him do in return. But he needed things like the hunt and different things but he found he could bring out the darkness in Jigoku and Jigoku could in that darkness set and maintain limits that kept them from going so far as to bring Aoi and the royals down on there heads and so it continued. Jigoku making more then enough money with his gigs he enjoyed it and Kyoki protecting them both....but he noticed it was hard not to...Jigoku was still pushing silver into his body....if he tried to stop him Jigoku almost looked like he was going to cry. When he asked why all his brother would say..."I'll die..." and so he had to let him....for whatever reason Jigoku believed he had to pierce himself with silver every so often or he'd die. And then the night came when everything changed for Kyoki again. They came across a Vampire and a human...a fragile nearly dead human who had been drained so many times he was dying. Ame....lovely and when Kyoki put the boy on Jigoku's back it was the boy who shed tears not for himself who was dying but for Kyoki that moved Kyoki's cold heart for a second time in his long life...the first even though Jigoku would never know it....was the sound of his little brothers first cries...the helpless gentle new born cries....that made Kyoki for all of his insanity want to protect him. Jigoku offered the only advice he could and Kyoki the next day they agreed and took the dying boy to the royals and there Kyoki begged them to save Ame. They did on the condition that the Inu brothers became Aoi's and that they hunted only what they needed to survive. No more needless hunting and killing. Kyoki for Ame's sake agreed. And after that they served him for many many years when things came around and a mistress of there fathers had turned up with a son of her own. Yasei was there half brother half unwrapped unstable and beserk it was nearly impossible to stop him until he came across one of Aoi's adoptive children Kanari who Yasei cherished. The human child had been kind to him when no one else was. and he had never forgotten it. It was that moment Kyoki used to seal the beserker in him behind a collar and brought out the more playful pup that was under neath.